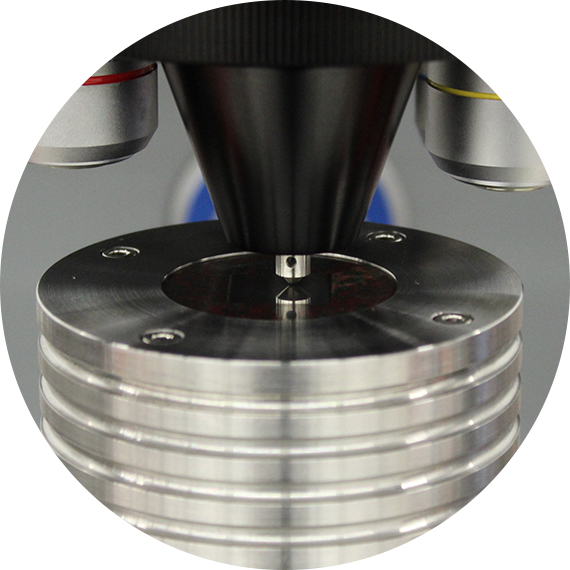 Microhardness testing is utilized on samples that are too small or too thin to test with Rockwell or Brinell methods, or samples that have a varying hardness throughout their section. This is common with processes such as carburizing, nitriding, and induction hardening, as well as with specific coating technologies and small parts that have been thermally treated. We can perform measurements based on Vickers or Knoop scales. Tests are performed to common international standards such as ASTM E384.